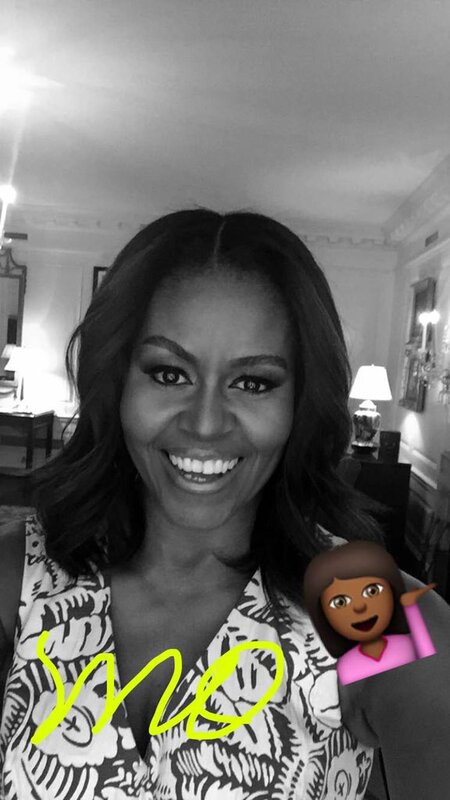 The First Lady joined Snapchat Tuesday, posting a perfect selfie. Welcome to the land of the snaps, Michelle Obama! Seems like she’s already had a busy day; Mrs. Obama shared Snaps with the creators of #therunningmanchallenge and posted up with The Late Late Show Host James Corden for a carpool karaoke ride. We’ll keep watching to see what else she has in store.